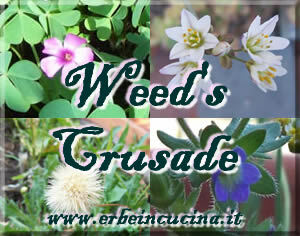 I always tried to defend weeds, in a sort of weed's crusade, and this post is meant to be an index of all information about spontaneous herbs published on this blog. Weeding is an all year long work if you are growing any kind of plant. Weeds can be dangerous for young plants and it's hard to get rid of them. Anyway many spontaneous herbs are edible or useful, and harvest them often is the perfect way to keep them under control. Here are some tips and recipes with your weeds. 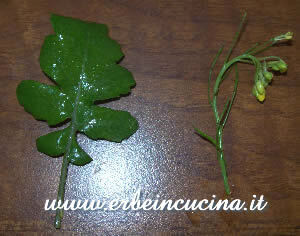 Green purslane leaves and tender tops can be harvested during summer, and can be eaten raw in salads. Nettle is one of the most common weeds. 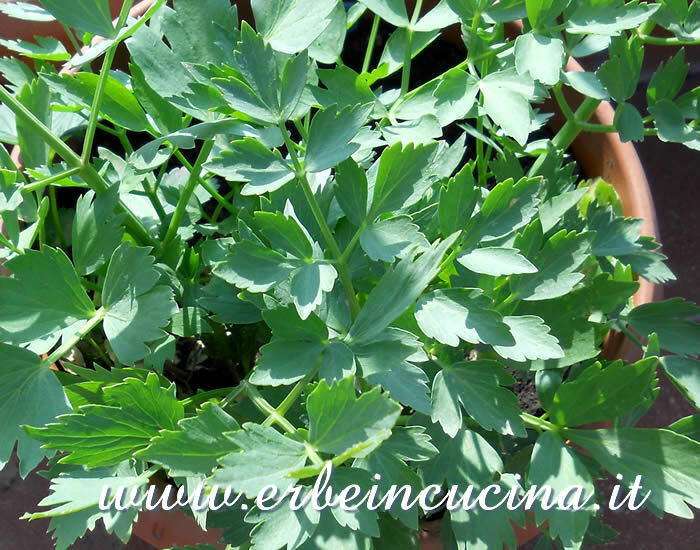 Its tender leaves can be harvested during autumn and winter, and become harder during spring. 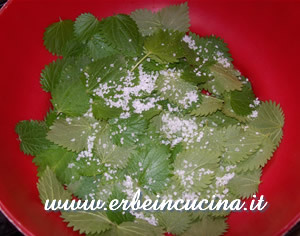 Nettle leaves should be handled with gautlets, and can be eaten cooked. 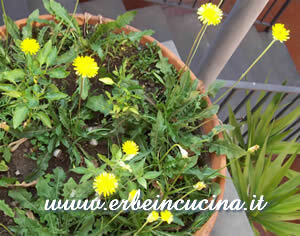 Dandelion was once considered as a regular vegetable, and then it fell from grace. Leaves, flowers, roots and buds are edible. 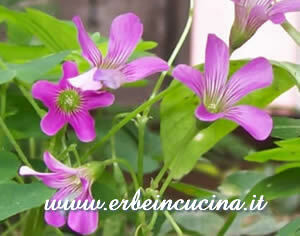 Violet wood sorrel has many gorgeous little flowers and it's often cultivated as an ornamental plant. Green leaves can be used in salads or sandwiches, and flowers can be dried for herbal teas. Apple mint has round and fleshy leaves. 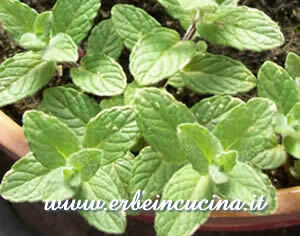 It's an hard plant, that can be harvested almost all year long and used as regular mint. 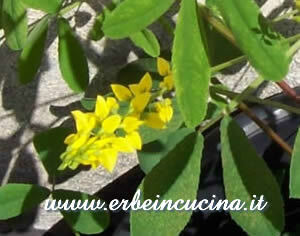 Its yellow flowers have a strong and sweet aroma, and can be dried and used in herbal teas. Clover leaves can be eaten cooked. 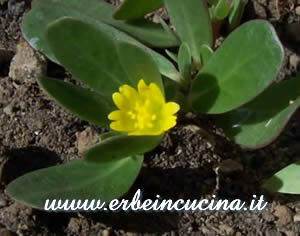 It's a spontaneous herb from Sicily, that grows nears vineyards and it's served with sausage or pork meat. 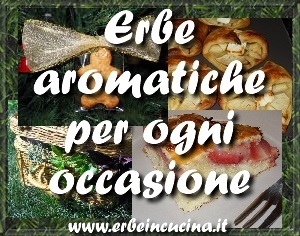 You may also like: how prepare your own Spices and aromatic herbs mixtures. Hi Radha, 20-23 degrees are enough: if you have 100 seeds for each plant, just try 10 of them... if they will sprout you ll have fresh leaves all winter long. But if they don t you will have enough seeds to sow in spring. Good luck!